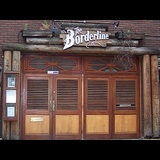 Soho, at one of the city’s most storied music venues Borderline. Top notch, well respected UK Broadcaster and DJ 'Ras Kwame’ takes his Capital Xtra radio show the 'Reggae Recipe’, Live! Expect the best new and established Homegrown and International talent performing the sounds of Reggae, Dancehall, Afrobeats and more alongside the 'RecipeRiddimSection’, full band! Tickets go on sale on Friday December 7th at 9am via Ticketweb. ... lose by trying to make the record down there, and we weren’t sure if anything good would come out of it... turned out to be my favourite studio yet."